The following sacred works are literary compositions on Sri Ganesha by various great saints who were fortunate to receive Ganapathi's infinite compassion, love, and grace. 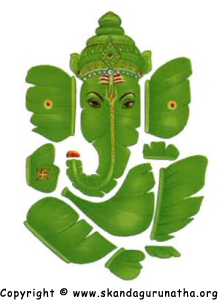 They are provided free for you to download, as a service for our beloved Sri Ganesha. May you incorporate these sacred hymns into your spiritual sadhana and profit thereby. May Ganapathi's grace and blessings be upon you always. Please read the following as it contains important information to ensure that you can correctly download and view the files listed below.